A legendary team of heroes forged by fate and dedicated to protecting the innocent against threats too great for any single champion to face. They are the Avengers... Earth's Mightiest Heroes. 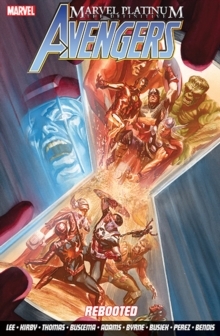 Marvel Platinum: The Definitive Avengers Reboot brings together the very best tales from the team's 50 plus-year history, including some of their greatest and most pivotal battles with the the time-travelling tyrant known as Kang the Conqueror!